Archived on 31 December 2018 – this content has expired. 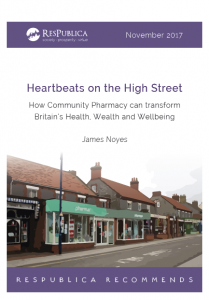 Heartbeats on the High Street: How Community Pharmacy can transform Britain’s Health, Wealth and Wellbeing. 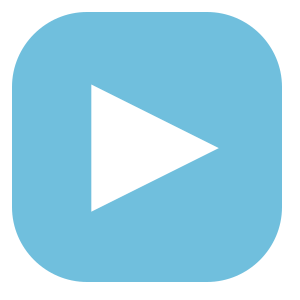 ResPublica is a renowned think tank which works with politicians to shape emerging policy. The National Pharmacy Association commissioned them to produce a report into the place of pharmacy in society, with a particular focus on the socio-economic challenges facing the UK – and pharmacy’s unique role in solving them. The report has been produced independently from the NPA, with consultation with leading pharmacy, primary care and socio-economic experts contributing to the drafting process. Authored by Dr James Noyes, the report was launched in Westminster on 20 November 2017. Community Pharmacy is embedded on high streets in almost every part of the country, including our most deprived neighbourhoods. It is staffed by a network of clinically-trained professionals who have the capacity to prevent illnesses that cost the taxpayer billions of pounds each year. Heartbeats on the High Street calls for a greater role for pharmacies in the fight for good public health. It recommends giving Community Pharmacy leadership in preventing and managing long-term conditions, by making NHS health checks for the over-40s available to the whole adult population. The report shows how a greater use of Community Pharmacy reduces social inequality and increases economic savings. It highlights the unique role and “social capital” of Community Pharmacy. By putting pharmacies at the heart of public health, we argue that they can become vital institutions of localism, care and social reform.